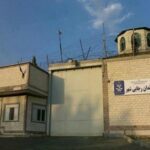 HRANA News Agency – Foad Rezazadeh, Sunni prisoner in Rajai Shahr prison is in critical physical condition because of the impact the recent hunger strike. 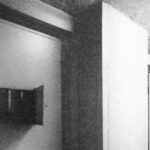 The prisoner whose digestive system was damaged as well as his kidney is still being deprived of necessary medical services. HRANA News Agency – Foad Rezazadeh, Sunni prisoner of Rajaei Shahr prison, went back to prison by the end of his furlough. 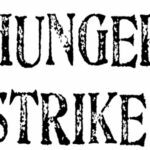 This prisoner was sent to furlough after a 23-day long hunger strike. HRANA News Agency – Foad Rezazadeh, Sunni prisoner of Rajaei Shahr of Karaj, was sent to furlough after 23 days of hunger strike. HRANA News Agency – Sunni scholars including Kak Hassan Amini, the religious judge of Kurdistan and Mollana Gargij, one of the Sunni leaders of Iran and also a group of activists called on Foad Rezazadeh, Sunni prisoners in Rajai Shahr prison to end his hunger strike. Mr. Rezazadeh was sent to the hospital in coma on December 11, and on the evening of the same day despite physical ailments he was returned to prison. At the same time, prison officials promised him to follow-up his demands at a meeting with him. HRANA News Agency – Foad Rezazadeh, Sunni prisoner of Rajai Shahr, has been on hunger strike for the past three weeks, in protest to rejection of his furlough request, despite the death of his father. 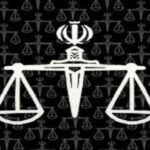 HRANA News Agency – Jamal Qaderi, Sunni prisoner in Rajai Shahr prison in Karaj who is serving the 7th year of his 8-years sentence has gone on hunger strike on protest against widespread denial of his rights and the denial of furlough in spite of serving most of his conviction since December 3. HRANA News Agency – The Court of Appeals in Tehran has confirmed the six-year prison sentence for Sunni preacher Foad Rezazadeh just months after he was reportedly tortured by agents from the Ministry of Intelligence in order to force him to sign false ‘confessions’. HRANA News Agency – Foad Rezazadeh and Moslem Marivani who were transferred to the Kermanshah intelligence detention center, transferred back to Rajaie Shahr prison after more than one month of being beaten and tortured in solitary confinement cell. HRANA News Agency – Foad Rezazadeh, the Sunni prisoner of conscience has been transferred from Rjaei Shahr prison to ward 209 of Evin prison.